These Arena Nimesis X-Fit goggles have a smoke lens, black strap and turquoise frame trim. 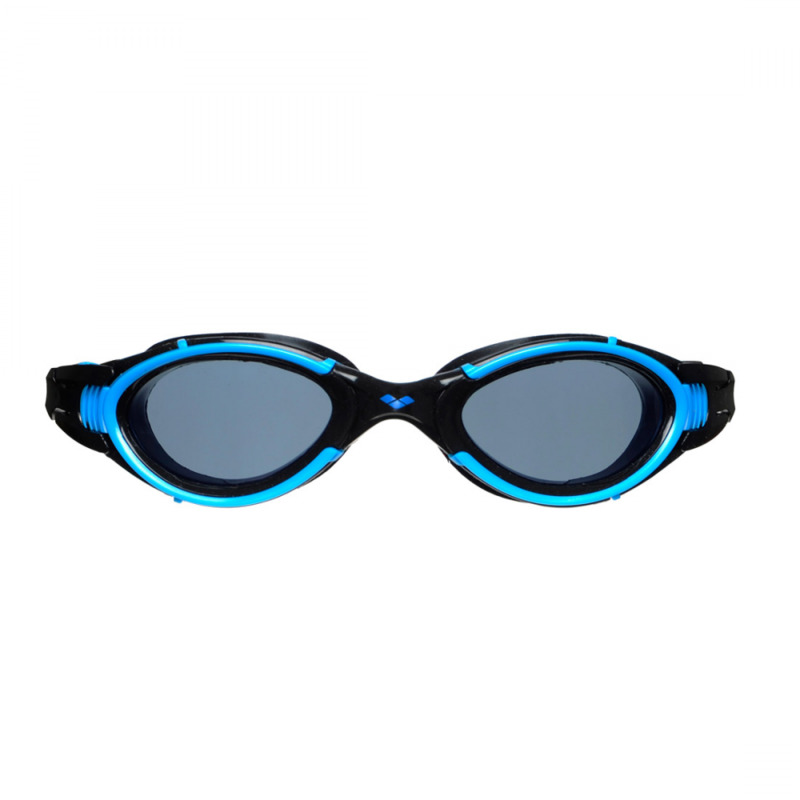 The cellulose polymer lenses provide maximum comfort and are anti-fog coated. The split strap is easy to adjust whilst while wearing and the self adjusting nose bridge provides a comfortable fit. 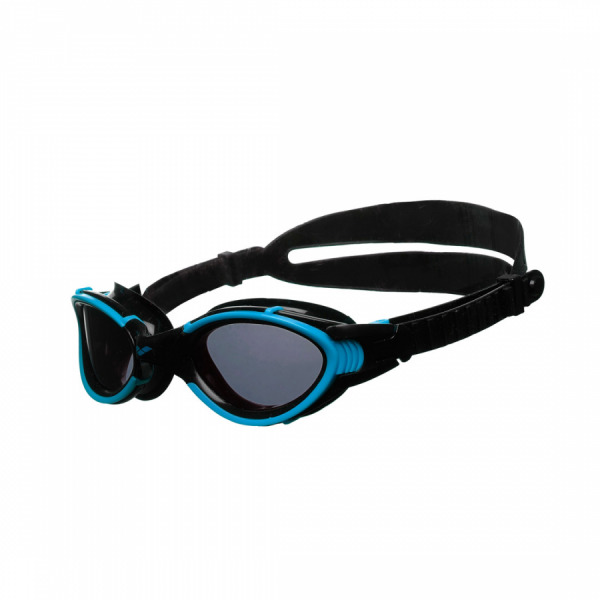 The extra wide vision provided by these goggles makes them ideal for open water swimming, triathlon and general training. Protective pouch included.